When shopping recently, I found these Snowman Marshmallows and could’t wait to make a special hot chocolate to go with them. 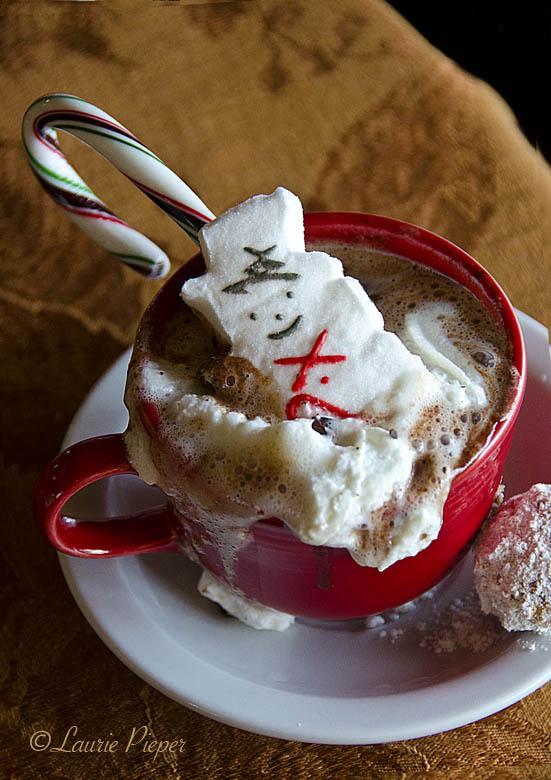 For this recipe I used Ghirardelli Bittersweet Chocolate, Hershey’s Chocolate Mint Candy Canes and Peeps Marshmallows. “Hmmm, yum!” My company and I enjoyed our hot chocolate and cookies. Place chocolate and candy cane pieces in a small non-stick pan. 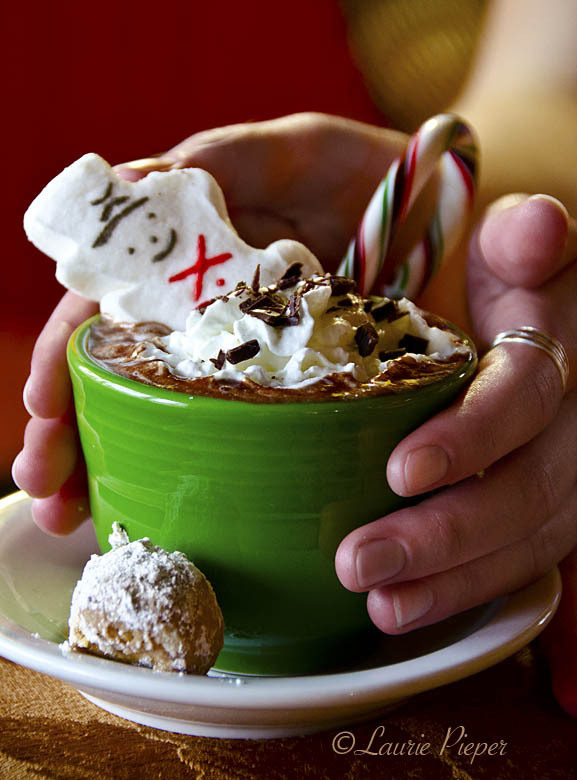 Pour boiling water over chocolate and candy canes. Stir. Turn low heat on under pan. Whisk chocolate mixture until smooth. Whisk in half-and-half and continue to heat mixture until hot, but not boiling. Meanwhile, assemble ingredients for garnishing. Carefully ladle into serving cups and garnish. Serve immediately. Enjoy! This entry was posted in Holidays, Recipes and tagged Beverages, Candy Canes, Chocolate, Ghirardelli, Hershey's, Holidays, Hot Chocolate, Marshmallows, Mexican Wedding Cookies, Peeps, Peppermint, winter. Bookmark the permalink.